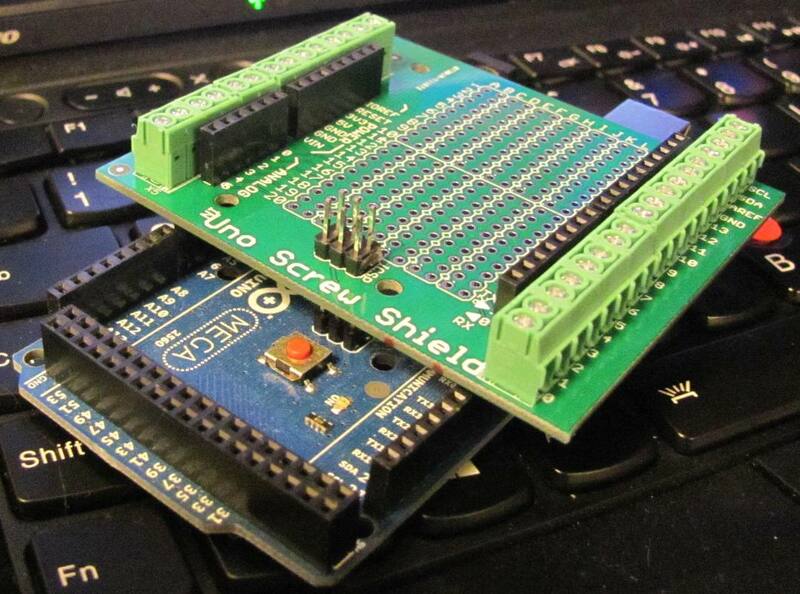 Has anyone ever seen a 1/3 length prototyping shield for the Mega? Basically a typical protoshield that only occupies the right third of the mega: RxTx pins 14-21, Dx pins 22-53, and analog pins A8-A15? I am using the left 2/3 of the board for a wifi shield, and I need some prototyping space. However, I have limited vertical clearance, so I cannot stack three boards high. 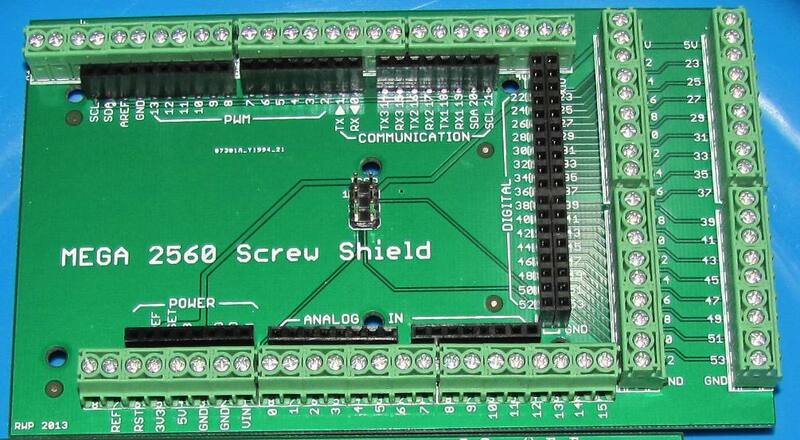 A right-side 1/3 length Mega protoshield would let me have the wifi and proto shields on the same plane, so whole unit is only 2 boards tall. No, I've not seen one of those, but it would be a good idea. Not a very practical solution, but you could buy a full length proto shield and cut 2/3 off of it! When you wrote "draw one up", if you meant create a PCB CAD file (e.g. Eagle), sorry, but that's a bit beyond me. If you meant draw a picture - that I can do. This is basically a photoshopped Mega prototype PCB. But Henry_Best's idea would work in pinch - I'll go find my Dremel. What you posted was what I had in mind. And you'll have a proto shield for a Uno left over.